On the last day of the live-in retreat, after having gone through multiple challenges with Breitling, Ermenegildo Zegna, The Macallan and 938NOW, our A-List neophytes thought they were home and dry. 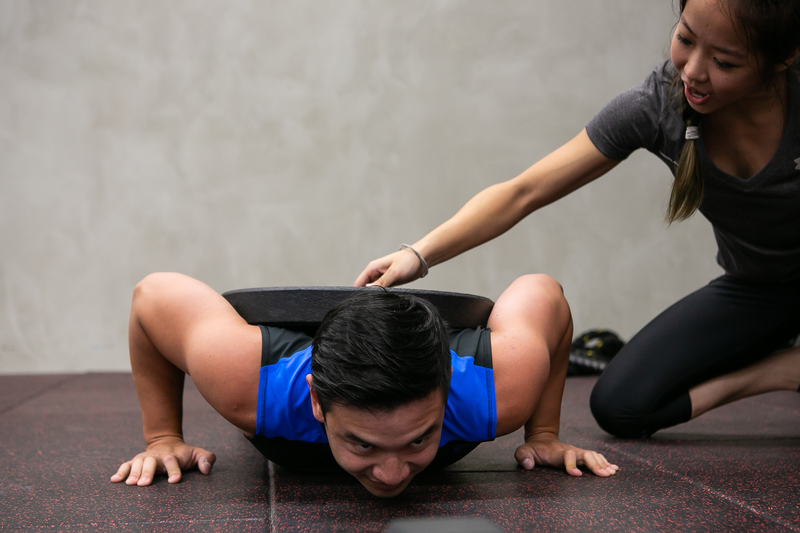 But we sprung a final surprise on them – a physical challenge at the TripleFit gym in Millennia Walk. Titled The Physical Push, the challenge was definitely the hardest of the weekend, simply because of its sheer physical toll on the body. The 12 men were split into three teams of four and put through a strenuous circuit involving dumbbells, medicine balls and all manner of torture machines masquerading as exercise equipment. And when you put a group of competitive men together, you can be sure that they’ll push each other and themselves to the absolute limit. In fact, one of the men suffered terrible cramps halfway and had to pull out. But the rest pushed on. It was an incredibly tough test for the lads but all of them pulled through spectacularly, and finally capped off the three-day experience with a sumptuous lunch at Morganfield’s at Orchard Central. Watch the video above to find out who won The Physical Push with TripleFit.